Indie Retro News: Ruzar - The Life Stone - Dungeon Crawler Steam Greenlight success is finally here! 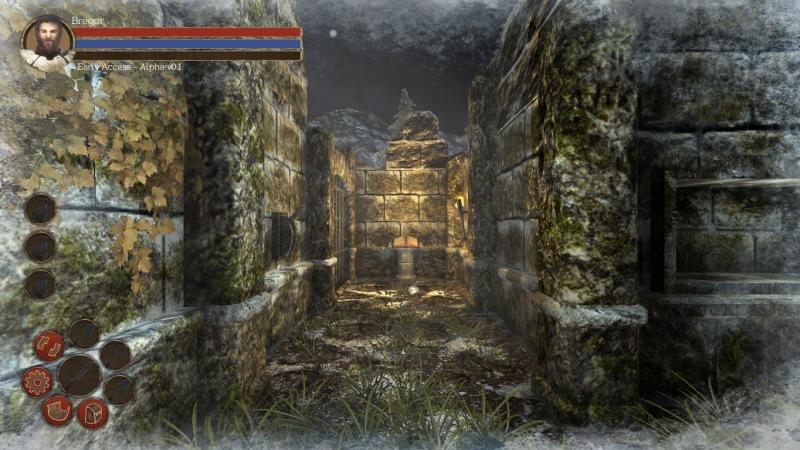 Ruzar - The Life Stone - Dungeon Crawler Steam Greenlight success is finally here! As I was just about to say that's it, I'm done for the holidays, up pups a Dungeon Crawler that completely went under our release radar. You could almost say this month has been saturated with Dungeon Crawlers, what with Fall of the Dungeon Guardians, Dungeon Kingdom, The Quest and now ' Ruzar The Life Stone '. But as a huge fan of the genre, going back to Dungeon Master and Eye of the Beholder, I thought it would be best to mention the release of this Steam Greenlight success which is currently available to buy on Steam. Developed by Hammer Glass Studio, you play as an adventurer who needs to discover the powerful Life Stone while battling his way through untold horrors, creepy dungeons and avoiding deadly traps. But if that didn't get your Dungeon Crawlers senses tingling, then how about the fact that this game also allows you to customize your character with more than 50+ skills and spells, a storage chamber to help store items and loot. lots of quests and much much more. As such 2015 is alive and well in the hearts of Dungeon Master and Eye of the Beholder players, and this is just another game to add to that ever growing list of tight corridor RPG's!